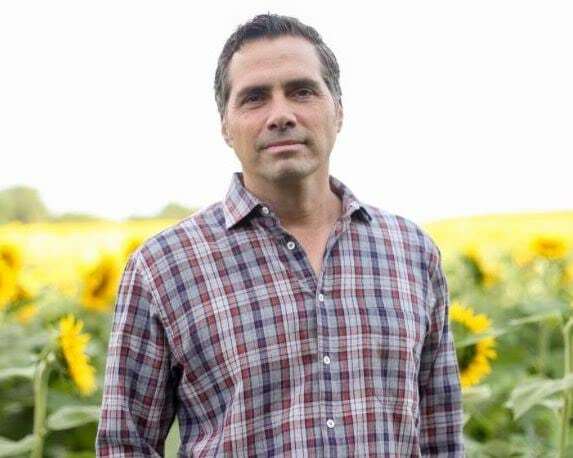 Greg Orman is a businessman and entrepreneur from Kansas, where he is now exploring running for governor as an Independent. In 2014, he ran for senator as an Independent, losing narrowly in his effort to go to Washington and hold both parties accountable. We had a chance to sit down with him and ask him about Kansas and the two-party system. Greg, you ran and came very close to winning a Kansas senate seat as an Independent candidate. Now, you’re running for governor. In Washington, you could’ve used your independence to make each party make sacrifices. What do you see as the benefit of being an independent governor in Kansas? Being an Independent governor liberates me to serve Kansans in ways that major party candidates often can’t. The government of Kansas is a complex enterprise. Its annual budget exceeds $16 billion. The lives of hundreds of thousands of Kansans intersect with state government on a daily basis. Who we have operating the various departments within the state government is critical to the outcomes people get every day. As an Independent, I can pick the best and brightest people to serve in state government. I’m not obligated to make appointments from a limited group of Democrat and Republican loyalists. We’ve seen in Kansas the direct impact of these sorts of politically motivated hiring decisions by the governor, and the results are abysmal. As an Independent governor, I’ll be free from those hiring constraints. This liberty to embrace the best and the brightest extends to policy ideas as well. So often in politics today, an idea that’s offered by one major party is “dead on arrival” with the other party. In some senses, the parties seem more interested in seeing the other party fail than they do in seeing our state or country succeed. As an Independent governor, I’ll be able to embrace the best ideas regardless of who thought of them to move our state forward. What’s the Matter with Kansas is an often discussed book about Kansas. What does it get wrong about politics in Kansas, and what, if anything, does it get right? Kansas has a long and rich tradition of leadership. Ever since its founding, Kansas has been the place where the nation’s biggest issues were addressed. It’s not an exaggeration to say that the question that brought the nation to the brink of the Civil War was whether or not Kansas would be admitted to the nation as a free state. Kansas was one of the first states to embrace women’s suffrage. As William Allen White continued, “Abolition, Prohibition, Populism, the Bull Moose … these things came popping out of Kansas like bats out of hell.” Kansas has also produced great leaders, like Dwight D. Eisenhower, Bob Dole, and Nancy Kassebaum. Today, Kansas is a leader in animal health, engineering, and aviation. We are a top 5 wind energy producing state and produce more agricultural products than all but six other states. While our political environment and some of the policies that have been enacted have led to unflattering press, there’s a whole lot more that’s right about Kansas. We plan to change that national narrative and demonstrate that Kansas is a leader with our election in November. Then I hope the press starts writing articles about, “What’s right about Kansas”. There will be a lot of material. Kansas has seen some of the largest tax and public spending cuts in the country. Some have said that these failed efforts prove that supply side economics just don’t work. What do you make of both the tax cuts and Democrat’s rhetorical responses to them? What is the best middle ground to be found for Kansas? The Kansas tax cut experiment is yet another reminder for me of how the public sector could learn from the private sector’s approach to solving problems. In the private sector, you can’t ignore inconvenient facts and expect to stay in business. You can’t dig in your heels and insist you’re right despite all evidence to the contrary. While the tax policy was flawed to begin with, our governor’s real failings were his inability to acknowledge that he’d made a mistake and take action to correct it. Government has an obligation to spend the resources entrusted to it prudently. This requires a lot of thought, hard work, and analysis. Things like across the board cuts are rarely smart policy. That’s why I believe we need a governor in Kansas who has the ability to really dig into the $16 billion spent by the state government and evaluate opportunities for getting better results with fewer resources. What do you see as the two to three policy issues that there is actually significant room to compromise on in Kansas? In the country? I think my home state and the country are not nearly as divided from a policy perspective as the politicians would like us to believe. After traveling the state of Kansas for some time, it’s become clear to me that most people want the same things. They want their children to grow up happy and safe and to become productive members of society. The want to be financially secure enough to be able to live a middle-class life and retire someday. They want to be able to afford their healthcare, childcare, and to be able to send their kids to some form of higher education. They want to have a sense of belonging to a community or a church or a team. They care about their community, their country, and their families. What we share is far greater than what divides us. I wrote a whole chapter on this in my book, A Declaration of Independents. I believe there is common ground on almost every issue that is being neglected by our government today. Even on the most contentious issues, there is broad consensus about steps that can be taken. Unfortunately, politicians don’t accentuate the things that we share in common. That’s not how you win elections. You win elections by exploiting small divisions and making them look larger. You paint your opponent as the worst possible version of themselves, and you play on fear and hate. This creates the perception that we are a lot further apart as a nation than we truly are. It’s damaging to our country, self-defeating, and is daily allowing the greatness of America to slip away. Broadly speaking, the two party system seems to be frustrating a lot of people. What do you think is a long-term solution to that problem? More independent candidates? A third party? I do believe we need a third force to bridge the divide between Democrats and Republicans. I’ve described Democrats and Republicans in Washington as a married couple going through a bitter divorce. They don’t talk anymore. They mistrust each other’s intentions. They no longer share common goals. Sending them to Washington to solve our problems is a little bit like putting that bitter married couple in a room alone and saying, “figure it out”. It won’t happen without the intervention of a third force. I think voters are starting to understand this. In 2016, they gravitated to unconventional choices in the presidential race. According to a recent Gallup poll 49% of Republicans and 52% of Democrats think we need a third party. That’s actually a pretty remarkable statistic – fully half of all major party members are so dissatisfied with their own party that they want another choice! I suspect that third choice will start as a collection of Independent candidates and elected officials who work together. Eventually, it may evolve into an actual party. Either way, voters are demanding more choices, and I believe they’re going to get them. If you want to reach Greg, please email smerconishwriters@gmail.com.